This is a very simple GUI application that saves time browsing folders and adding values, or writing commands on the terminal to get the Unity-2D GConf Settings customized. 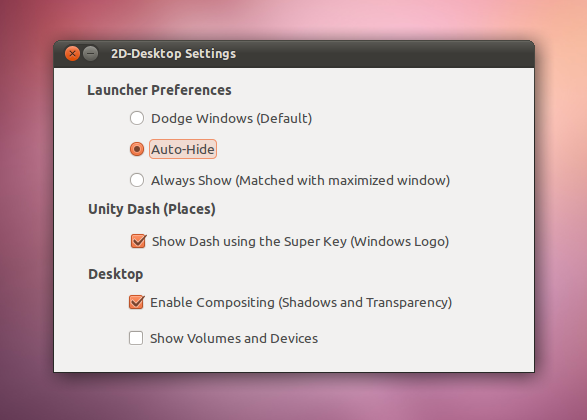 There’s no much to tweak under the current version of Unity-2D, however, there are certain times when you want to set the Launcher to be hidden or vice versa, or you just don’t get used to it’s “Dodge” default mode. And Compositing Manager makes it look better (Near regular Unity). Download deb packages from here once you downloaded double click on that to install.